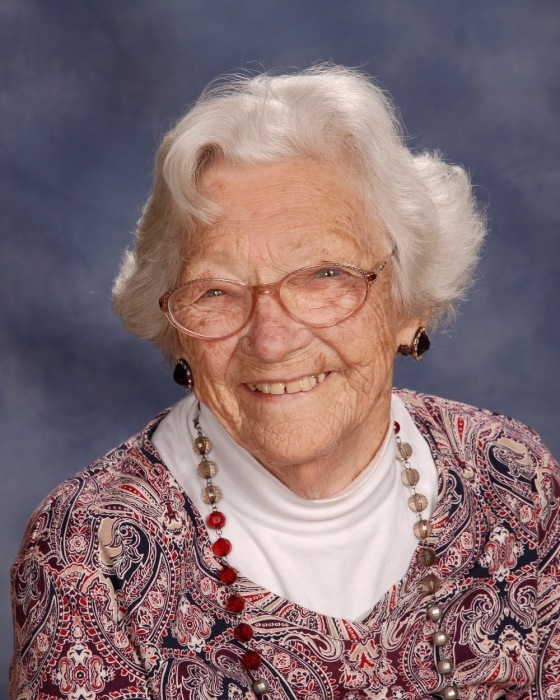 Thelma M. “Tillie” Lynch, a lifelong resident of Stoughton, passed away peacefully at The Copley At Stoughton Nursing Facility on Monday February 4, 2019. She was 100 years old and the beloved wife of the late Charles W. Lynch. She is survived by many nieces, nephews, and wonderful caring friends. Tillie was also a mother to the late Kathleen A. St. Don, a sister to the late Eleanor C. Gay and Shirley C. Paine and an Aunt to the late Judith MacLellan. Born November 1, 1918 in Brockton,Massachusetts she was a daughter to the late N. Rudolph and Hazel (Littlefield) Krona. She attended Stoughton Public Schools and was a graduate of Stoughton High School. Mrs. Lynch was employed for many years as a factory worker at the former F.C. Phillips Screw and Manufacturing Company in Stoughton and later retired as a Seamstress from the former Lauries Sportswear Factory. Mrs. Lynch was a proud member of the I. G. W. U. Tillie was a lifelong member of The First United Methodist Church in Stoughton. She was a dedicated member of the churches Women’s Club. Her hobbies included, knitting, crocheting, traveling, and spending summers in Stetson,Maine. Tillie will be missed by all who had the pleasure of knowing her. Visiting hours will be held on Monday February 11, 2019 from 4 P. M. - 7 P.M. in The Sheehan, Lowe & Powers Funeral Home and Cremation Services, 115 Monk Street, Stoughton. A funeral service to celebrate Tillies life will be held on Tuesday February 12, 2019 at 11:00 A.M. in the funeral home and burial will follow at Evergreen Cemetery, Stoughton. ALL ARE WELCOME TO ATTEND. In lieu of flowers, donations to The First United Methodist Church, 109 Pleasant Street, Stoughton,MA 02072 in Tillies memory, would be greatly appreciated.